We work with countless suppliers in the wedding industry! Some massively stand out to us because they go above and beyond, to make the magic happen for couples getting married. Here are some of those beautiful people who care so much! MATT CARTER - EVENT PIANIST & CUPIDS WISH BAND MEMBER. Based in East Anglia. Matt has played countless weddings with us and we can hand on heart say he is the loveliest human being in the land, as well as being an incredible musician! These days Matt is very busy with his event pianist business and lovely family but occasionally he is still able to join us. It just depends on his availability! He is an incredible pianist and we are so privileged to play with him. CHURROS & CHORIZO, SPANISH DELI MOBILE CATERER. Based in East Anglia. We've come across a lot of mobile caterers but the thing that stands out for us about Churros and Chorizo, is how unusual the menu is and the churros are to die for! Oh and suitable for vegans too with their warm vegan chocolate sauce! People get so excited by their lavish and yummy menu which offers authentic Spanish cuisine! Our band was salivating at the smell of the food cooking! On top of this, they are lovely, lovely people which we all know is super important when choosing wedding suppliers. These guys really contributed to the happiness of the wedding with their fun and friendly vibe. DOTTIE - WORLDWIDE WEDDING PHOTOGRAPHER. Based in East Anglia. Dottie is a gorgeous and super fun lady who takes breathtaking photos! It's actually on my bucket list to have her photograph Michael and me one day! Dottie trained with the world's top wedding photographers to become one herself. When Michael and I first started out, we met her at our very first wedding fayre and she couldn't have been sweeter, more encouraging or helpful. We've followed her career since and watched her become the extraordinary sought after photographer she is today. Her success couldn't have happened to a lovelier and more hard working person and we feel very proud to have worked alongside this brilliant lady. JULIE - WHAT THE FLEUR FLORIST. Based in East Anglia. Julie's flowers have to be seen to be believed and she is a gorgeous fun loving lady! This lady will listen to what you would like and do everything she can to create it for you. KATIE INGRAM, WEDDING PHOTOGRAPHER. UK Wide. Katie takes some of the most beautiful photos I've seen! They are truly spectacular and we were knocked out with how she was able to organise guests to assemble for photos, in such a lovely and professional way. Katie took the stunning photos at Ore And Portia Oduba's celebrity wedding and we're very thankful to have them featured on our website! A really lovely lady and so professional. RIVER ELLIOT - CUSTOM MADE ETHICAL BRIDAL DRESSES. Based in East Anglia. Clare is so talented and so lovely! She really cares about her clients and also offers ethical wedding dresses which we think is fantastic! With Clare, you’ll receive a beautifully made to order wedding dress that is truly unique and bespoke. Look at that dress!!!!!!!!!!!!! The wedding organisers worked with all the suppliers with exceptional team spirit and did everything possible to help us do a great job for our couple. That's always so appreciated. 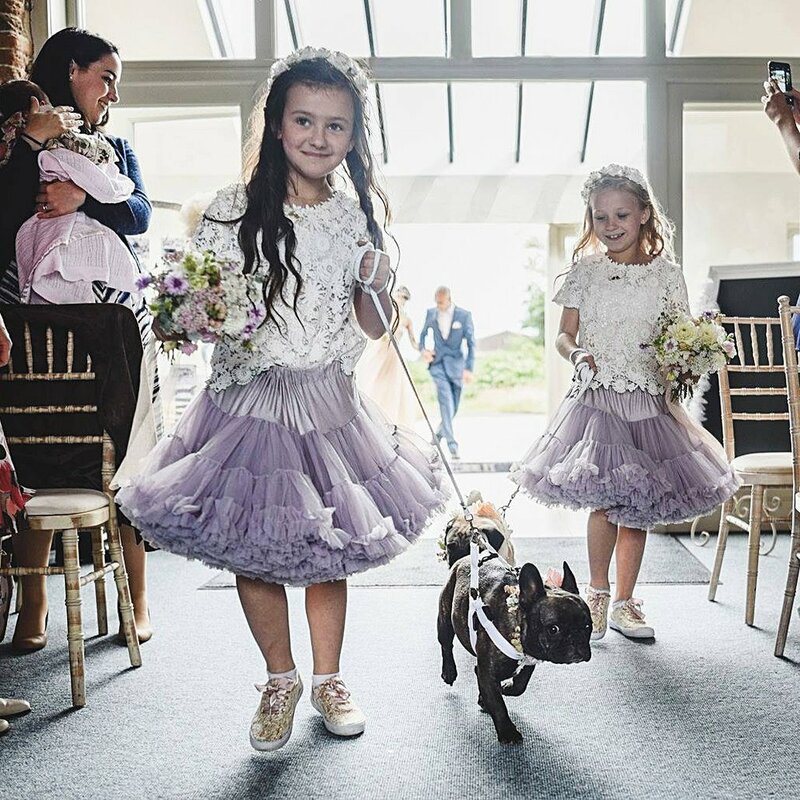 This venue impressed us by allowing the couple's doggies to be a huge part of their day - and we're rather fond of animals being included and the kind people who let them! KRISTIAN LEVEN - MULTI AWARD WINNING PHOTOGRAPHER. London & Destination Weddings. We've had the pleasure of working with Kristian a number of times. He's a true gentleman and his work takes your breath away and is just so poetic! Kristian is in extremely high demand, so if you do manage to book him for your wedding, double congratulations! Michael and I have been privileged to help and I would urge our supplier friends to support this incredible charity too if you can. HIM AND HER WEDDING PHOTOGRAPHY. Based in East Anglia. Lisa and Neil are a fantastic married couple who go above and beyond to record beautiful moments from not only a male and female perspective, but from a recently married couples perspective. They build wonderful relationships with their clients which I think is brilliant! As you'll have probably gathered, I only recommend lovely people and these are extremely lovely people and a bit quirky too, which I love! 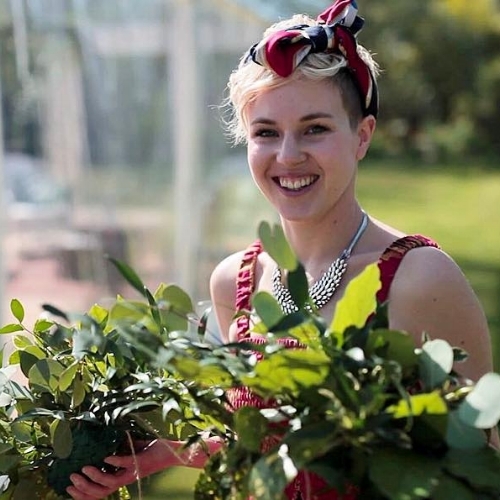 A lovely resource for vegans and veggies who are tying the knot. Another venue where the wedding organisers worked with all the suppliers hand in hand and the staff were incredibly kind and helpful. Despite the grandeur of this venue, it was totally unassuming. Just gorgeous! PETER DENNES, PHOTOGRAPHER. Based in East Anglia. The thing that we love about Peter besides him being an outstanding photographer and lovely person, is that he stays way after the first dance to capture some of the best moments of the day that are often missed. He is very smiley, has a great presence and is a pleasure to work alongside! SAFE & SOUND EVENTS. AWARD WINNING EVENT CHILDCARE. Your children will be in safe hands with Stephanie and her amazing team! Another supplier who helps to make everything seamless for your big day with a lovely smile! We're so lucky to have played in hundreds of venues and this one always blows us away because of the outstanding TLC they have for their couples, guests and suppliers. It's one of those venues where you walk in and feel like you are being hugged! When venues contact us after the event to thank us for helping make a couples day, you know they go above and beyond and massively care about their clients and suppliers, and these are the people we love to work with! RISING HIGH BALLOONS. Based in East Anglia. A lovely lady who lifts venues and hearts with her stunning event decor, gorgeous balloon artistry and her sweet and caring personality. ANDY CHAMBERS, PHOTOGRAPHER. Based in East Anglia. We bump into Andy quite often at weddings. He's another photographer that we've enjoyed working with and who knows his venues because he seems to have worked everywhere! He really captures the moment and magic in his photos and we've seen how much he really cares about his clients! A fair wedding fair! We love how this one runs and we always try to take part if we're not booked. Public houses don't come much friendlier than this! The landlords are extremely warm and welcoming! A brilliant place for a party, live music and a cosy get together! Plus the food is wonderfully tasty with vegan and vegetarian options too. 10/10 every time! If you're looking for a beautiful dance floor or superb DJ, then we can highly recommend these guys. We've had the pleasure of working with Ash who is a fantastic DJ with a very lovely personality. What we like about working alongside Ash specifically, is how thoughtful he was in making sure he didn't play any songs we were going to play. Also, we love that he encouraged guests to request their favourite songs and nothing was too much trouble. He's calm and just an all 'round great guy! I'm sure the rest of the team are equally as fab too! Smeetham Hall Barn is one of the very first venues we played at when we first formed in 2008. For that reason alone, it will always have such a special place in our hearts. It's a brilliant venue for dancing! The acoustics in barns are beautiful and this one is no exception when it comes to live music - it's not only a gorgeous wedding venue but perfect for bands. (Photo credit - Andy Chambers).